When I was in junior high, I volunteered to run the AV lab. I was responsible for keeping the machines all running, things like reel-to-reel tape players, overhead projectors and anything the teachers would use to aid them in class. 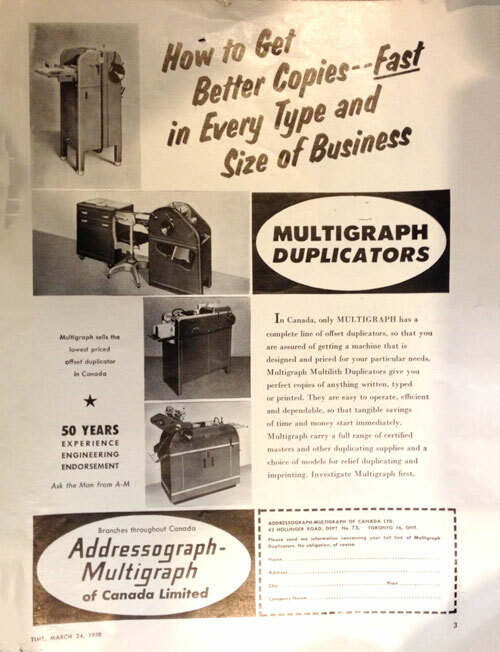 One of the things I got to do was run the Gestetner Duplicator, it was my first experience with printing. The ink had a unique smell I still remember it, on test day, all the classrooms would smell like Gestetner ink. I recently came across this advert for one of its competitors.